Denmark is an advanced country and is economically among the top countries of the world. It is also a peaceful country and inhabited with friendly people. So, if one desires to live and work in an advanced economy and maintain high standards of living, along with a zestful lifestyle, Denmark is the country to be living in. Denmark green card scheme is a scheme wherein based on points obtained on the basis of a calculator (Denmark Points Calculator), a ‘residence permit’ is first issued. 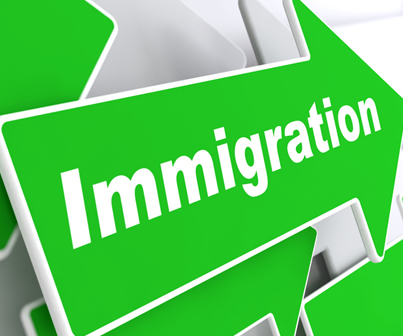 After the issuance of a residence permit, under the green card scheme, it is possible to also work in the country without the need for a work permit. And, under the green card scheme, it is possible to undertake both paid and unpaid work. However, the residence permit obtained under the green card scheme (after the completion of the Danish Green Card Process) does not allow the applicant (the green card holder) to be self-employed or start his/her own business or enterprise. There are certain conditions or requirements that have to be met by an applicant who seeks a residence permit under the green card scheme. One of the first conditions is of course, that the applicant has to meet the requirement for a minimum number of points on the ‘Points Calculator’, the Denmark Points Calculator. Points under the Denmark Points Calculator are given for criteria such as educational qualifications, language proficiency, age, etc. One other condition is that the applicant of Denmark Green Card scheme and all of his/her family members accompanying him/her have to be covered under a health insurance scheme. This should be so, until the time that they are all covered under Danish National Health Insurance. Also required from the applicant of Denmark Immigration are documents to prove that the applicant can support himself/herself and his/her accompanying family members during their first year of stay in Denmark. And, also one other condition of the Danish Green Card Process is that the applicant and his/her accompanying family members ought not to receive any public assistance.